Jump ahead to 2013. It’s true the burgeoning population of oilfield workers have led to a new class of accidents, different even from agricultural mishaps. These accidents can range anywhere from lacerated fingers, smashed toes, trauma from being hurt by a piece of equipment and, of course, vehicle accidents. The huge increase in traffic and large oil trucks versus a passenger car makes for a bad mix on the two-lane highways of the area. In addition to an increase in work and highway accidents, an increase in population leads to more illnesses in general, mental health care and yes, even babies. Mercy Hospital recently added a state-of-the art outpatient birthing center with a family-friendly environment and comfortable rooms. In January, the Sidney Health Center opened a walk-in clinic to handle the surplus of patients. The Weekday Walk-In Clinic is open four days out of the week with evening hours on Thursdays. The desire to expand the walk-in clinic hours beyond Saturday mornings had been a goal of the facility for quite some time. Feasibility, designated clinic space and staffing concerns were among reasons for the delay in expanding the service sooner. The Saturday Walk-In Clinic that is run by a rotating schedule of providers has remained busy since opening two years ago. “With volume in the ER nearly doubling over the past few years, we felt it was necessary to expand the walk-in clinic hours to help accommodate those seeking a same-day appointment for non-emergency care,” states Rick Haraldson, CEO, Sidney Medical Center. Even though cancer is probably not making the top of the list for Bakken employees coming to the clinic, the Sidney Medical Center recently opened an impressive cancer center, with experts in oncology serving the public—a true boon to the area. One of the challenges hospitals face is recruiting doctors, nurses and staff. As with other service jobs in the Bakken, often the medical community can’t pay the salaries of oilfield work. Housing is tight, so it can be difficult for a doctor or other health care specialist to find adequate housing for his or her family. The only saving grace may be that doctors, nurses and other professionals are trained in their jobs and many find their careers very rewarding. It’s not too likely an orthopedic surgeon is going to suddenly leave to drive an oil tanker. Talk to the medical community and the greatest challenge, even more so than adding staff, is bad debt. Many patients who come in for care have no health insurance and no permanent address. The North Dakota Hospital Association notes that between 2011 and 2012, 12 medical facilities in western North Dakota have seen their combined debt rise 46 percent. Often a patient’s driver’s license doesn’t match where they live. When they walk out of the hospital or clinic, they’re gone. The debt load is huge. To combat this, the Sidney Medical Center and Walk-In Clinic now require payment at the time of service even for co-pays and self-pay. To meet financial challenges of both the hospital and patients, hospital foundations are stepping up to the plate. In Sidney, the Foundation for Community Care strives to ensure the continuance of quality health care for the region. Established in 1883, the foundation has worked hard to provide grants for requests such as travel for emergency care and scholarships for people who want to become health care professionals. “We have seen a real increase in our Angel Fund that goes to oilfield-related accidents or car accidents due to the increase in traffic because of the development. Correspondingly, we’ve seen a real increase in generosity in the community,” says Melissa Boyer, fundraising coordinator for the foundation, which is connected to the Sidney Health Care Center. Boyer, who also serves as the director of events for the foundation, says they just finished a very successful golf tournament and are working on their popular wine and food festival in early November. 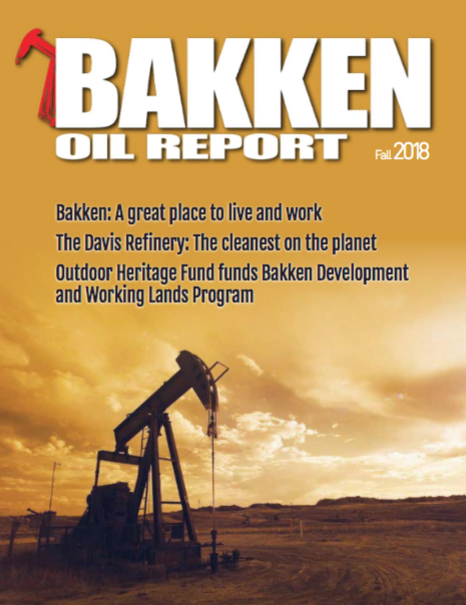 People working in the Bakken and landowners who may have a little extra cash in their pockets thanks to the oil development on their land are helping make community event fundraising successes. With the drive of the medical communities in the Bakken to treat patients for whatever their ills, be it an accident or illness, and the support to increase facilities when necessary, residents of Sidney, Williston, Dickson and many of the small towns in-between can feel confident that they will be able to receive professional medical care for many years to come.